it's beeen a looong tiiime! 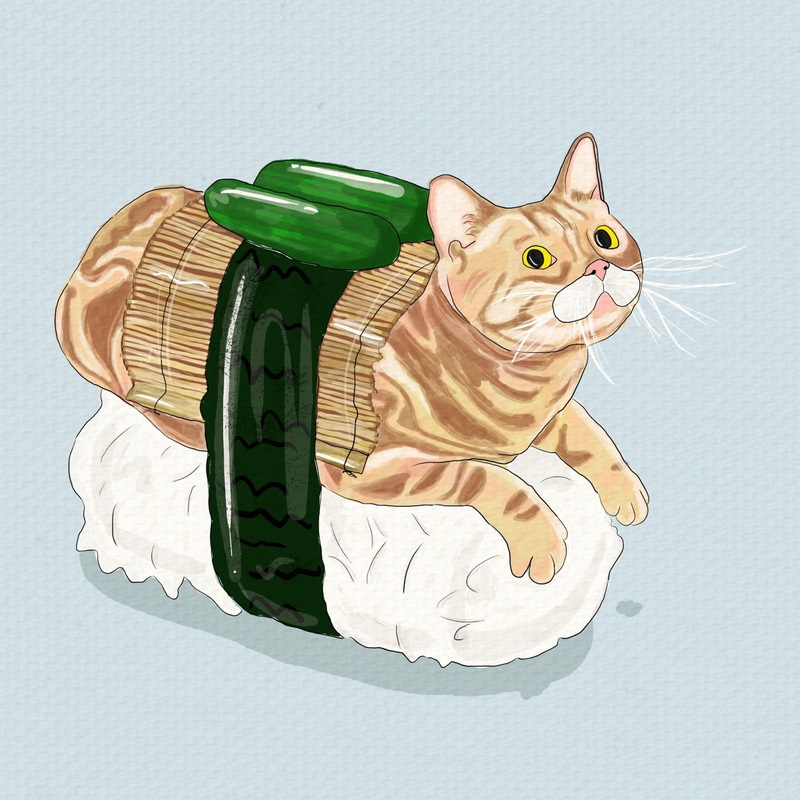 :'3 here I come back with my two favorite things they are a sushi and a cat. how's life lately? me watching so many Korean TV Shows. they are all funny and entertain me so well. when I watch Roommate, I feel like I want to live away from my parents and move to a new place with a new room mates. when I watch the Return of Superman, I usually imagine what would my children be like? how my husband will take care of my kids?. when I watch We Got Married, I would like to scream aaak can Jo In Sung and I be an eternal couple in your show? and last, Running Man. there's nothing funner than running in Running Man. I want it sooo bad. what? I only watch K-shows all day long? nope. I have so many things to do. first I must make sure that my house is clean so when I wake up in the morning I must sweep and mop the all floors. I must check the dirty clothes in all bathrooms and wash it. I must take all dry clothes from hanger to my ironing thrones. LOL because ironing clothes is the most tiring part of everything I usually put my laptop in front of me and that's how I watch K-show; my one and only companion to get the job done. beside taking care of my house, I was busy browsing and study for 'something' I couldn't tell you right now. however, it took some of my times that I usually use to doodle or drawing. I miss my drawing tools so much. oh, I also try to go on a food combining diet. it's because my aunt fights with her cancer and she gave me a simple recipe to not combining carbs with any meats (beef, fish, lamb, etc animal fats). both of them must be combined with vegetables. at first, I thought it would be boring and will make me lose my appetite but then after watching Korean actors often eat meat with lettuce wrap it gives me an air to breathe. finally, I got a new idea to run my diet. so I went to grocery and shopped anything I need. voila! my first try was success! my nephew, cousin, mom, and even my boyfriend said it's delicious! I will share the recipe to you soon. I'll catch you soon with another illustration. thank you for reading!